 Quob Stables Equestrian Centre is a BHS Approved Centre and we regularly run BHS Stage exams up to Stage 4. 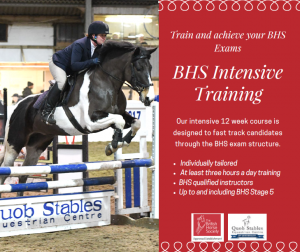 All our instructors are BHS trained and our facilities include two indoor arenas, a cross country course and outdoor arena. We are lucky enough to have regular clinics from Carole Broad (FBHS, UKCC L3) as well as our proprietor Beth Boyes (BHSI). We offer a choice of training options from weekly groups, eight week courses or bespoke training packages so whether you are just starting out on your BHS journey or looking for final tips before your Stage 4 exam, we have the training for you. 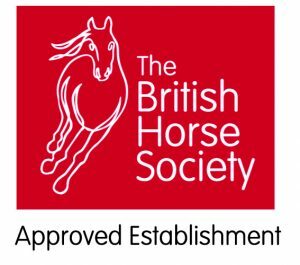 We run weekly group BHS training sessions which can be joined in regularly or as a one of, and all sessions are taken by BHS qualified instuctors. Please contact Reception on 02380 694657 for more details. Dates: 23rd April, 21st May, 11th June and 16th July. We also have regular Stage 4 training running on a Friday at 12pm and can also arrange private training with proprietor Beth Boyes (BHS Stage 5 Performance Coach). ABOUT THE COURSE: This intensive 12 week course is designed to fast track candidates through the BHS exam structure, and can be individually tailored to help you achieve your Stage 1, Stage 2 and / or Stage 2 Teach and work towards Stage 3 depending on your needs. The course includes at least three hours a day training (group sessions) as well as practical supervision, all with BHS qualified instructors. COST: £2300 for the 12 weeks. 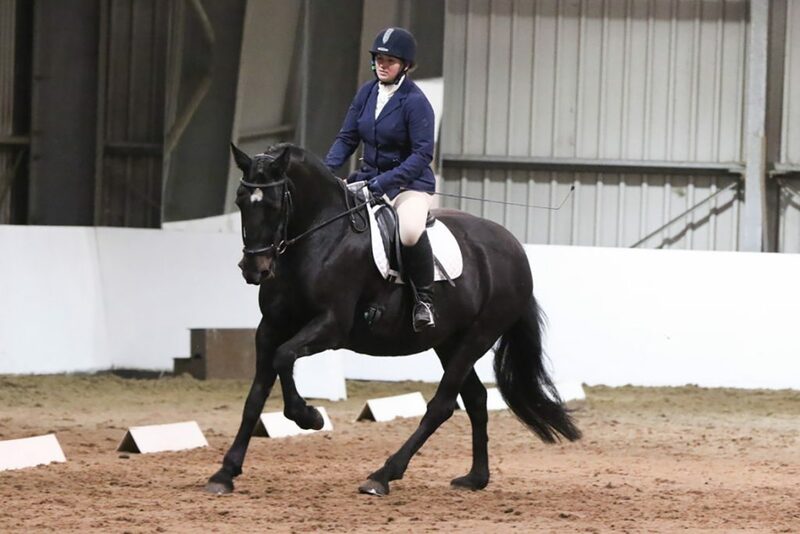 GET STARTED: A good basic knowledge of riding as well as practical horse experience is needed to achieve most out of the course. To start, we require potential students to attend a 2 hour private assessment lesson at a cost of £50 (which will then be taken off the short course price if you book). EXAM BOOKING: BHS Exams will need to be booked separately to the course, but Skills Books will be signed off where possible.